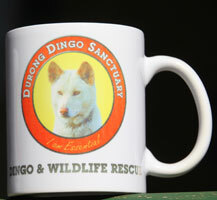 The Durong Dingo Sanctuary is now offering products that, when purchased, will not only make you happy, but will also provide funds for maintaining the habitat of all the dingoes at the sanctuary. 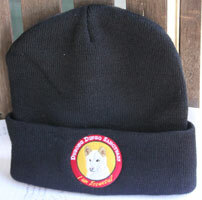 We have beanies, caps, t-shirts, mugs, stubby holders and mouse pads. 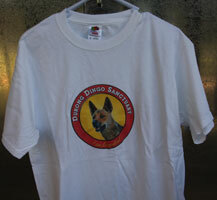 They make perfect gifts for any special occasion. Please Note: Due to the long distance between the location of the sanctuary and the location of the nearest Post Office I am unable to attend the Post Office more often than once a fortnight. Unless I have exhausted my supply of products, I would ship any order within 2 weeks of receiving the order. 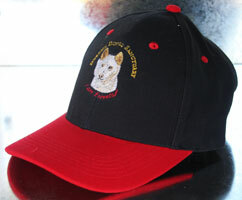 If supplies are exhausted there could be up to a one month delay in getting an order shipped. I will contact anyone who will have a greater than 2 week wait for their order and let them know how long they can expect their order to take for arrival. Thank you for understanding the situation I am in and know that I will do all I can to deliver in a timely manner. 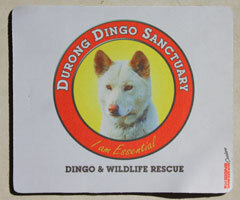 The dingoes at Durong Dingo Sanctuary Qld thank you from the bottom of their hearts for purchasing these special products!